Originally hailing from China, Kejia Wu brings over ten years of experience in the field of architecture and design. 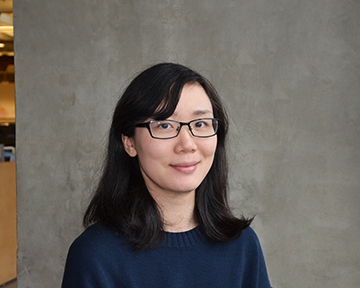 Her work with firms like Callison RTKL in Seattle, Perkins+Will in San Francisco, the China Academy of Urban Planning & Design in Beijing, and the Dalian Institute of Architectural Design and Research in Dalian, China, have given her a global perspective of architectural design and technology trends. She offers a high level of technical and design experience with a wide range of projects, including experience with retail, commercial, educational, residential, and mixed-use building designs. With each project, Kejia believes there is an opportunity to create spaces that will become the framework to special moments in our lives. Thanks to a highly creative personality, balanced by a thorough attention to detail, she excels at transforming concept designs into reality. Kejia Wu earned a Master of Architecture from Virginia Polytechnic Institute and State University, and her Bachelor of Architecture from Dalian University of Technology in China.